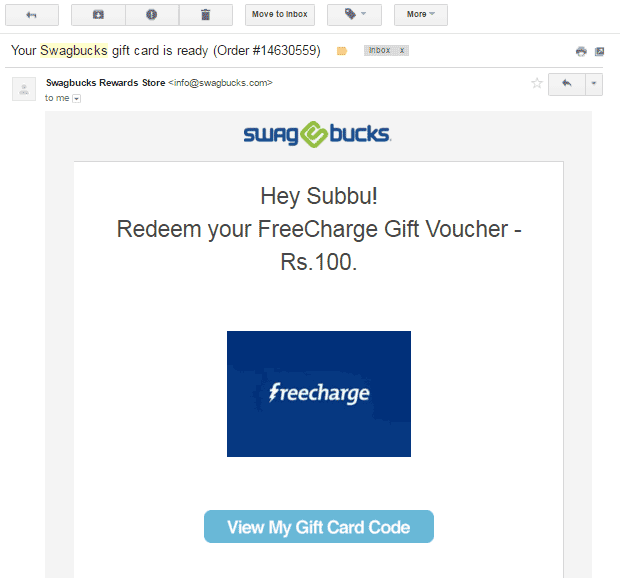 Swagbucks India Review - Is it worth your time? 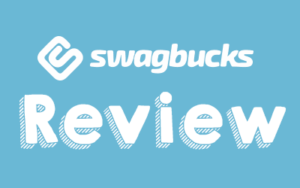 Swagbucks India Review – Is it worth your time? Swagbucks is quite popular in India and it is suggested by several blogs as a way to earn money online. So to answer his question, I quickly signed up and gave it a try. Once I signed up on the site, I did some simple tasks like completing my profile, a survey and used their web search. Doing this I was able to earn a Rs.100 freecharge gift card on the first day. Even though it’s impressive to gain Rs.100 for such little work and in a short period of time, swagbucks is not for everyone. I’ll share the reasons for this later in this post. Swagbucks is an online platform where you can earn reward points (called as Swagbucks) for doing tasks like answering surveys & polls, searching the web, shopping online and downloading apps. These points can then be redeemed for gift cards from stores like Flipkart, Freecharge, Myntra and PayPal. You can also earn real money by redeeming a PayPal Gift Card. Is Swagbucks a scam or not? Swagbucks is free to join and is not a SCAM. An image on their site shows how much they’ve paid to their members. You can join swagbucks.com simply by signing up using your email or Facebook account. Once you complete these 3 simple steps, your account will be credited with 100 SB’s. Another way to earn SB’s is by searching the web using the Swagbucks search engine. To do that : First, you’ve to log into your Swagbucks account and then search anything using the Swagbucks web search situated on the top left corner of your homepage. For your first search you’ll be rewarded with 20 SB’s and from then onwards Swagbucks will pay you on an average of your total searches. Now let’s say: You do 50 random web searches every day using Swagbucks. Now on your every 51st search, you’ll earn 5 to 10 SB’s which calculates to 30*10=300 SB’s a month. To get the best results, you can set Swagbucks as your default search engine. 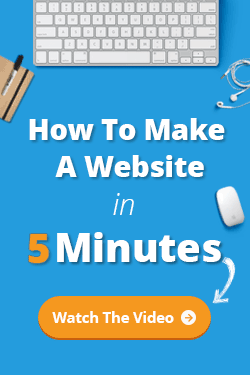 This will enable you to earn SB’s for doing any kind of search from the browser itself. SwagButton is a browser extension which gives real-time alerts about a new-earning opportunity. By installing it, you’ll also earn 50 SB’s. This extension will save a lot of time as all the account information will be displayed by just a click on the Swagbucks icon. You can also use SwagButton for redeeming a SwagCode, searching the web and also to check any available offers or surveys. 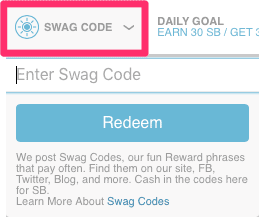 SwagCode is a unique code that can be redeemed for an instant Swagbucks. Each code contains a specific value of SB (Like a code has 5 SB’s) and is valid for few hours. This website updates SwagCodes every day. They even have an option of Email subscription that directly sends a SwagCode to your mailbox. 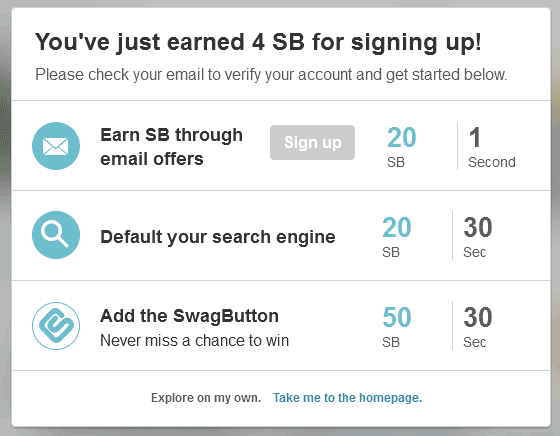 Click the little safe icon on the top of your Swagbucks homepage or use the SwagButton. You can also earn SB’s by shopping online through Swagbucks. This feature has very fewer offers in India. But, some offers are really good. Here you can buy a Magzter Gold premium subscription for Rs.399/month, which will give you unlimited access to all the magazines and at the same time you will get 800 SB’s. This is a great deal because this 800 SB is equal to $7 = 466 rupees approx. which is more than the price you pay for. You can even unsubscribe from Magzter Gold plan if you don’t wish to pay for the next month. You can earn 1 SB every day by simply answering a poll. All you’ve to do is head over to the Daily Poll section and answer a question by casting your vote. This way you can make 30 SB’s in a month. The best way to earn a lot of SB’s is by taking surveys. To start earning, just participate in a paid survey by entering your account details. Once you complete it, the company will ask you to fill up a form in order to check whether you’re eligible to take the survey or not. After a successful completion, you can start taking the survey. Each survey takes at least 10-15 minutes to complete and will pay close to 60 SB’s. The best survey options are from the Gold and Peanut Lab Surveys. Note: The disappointing part about these surveys is that most of them are not available in India which limits a user from qualifying. But for some users, this works as their profile matches with the survey requirements. Swagbucks referral program is another add-on feature to earn SB’s. You can start referring Swagbucks to your friends by inviting them through mail or by sharing your affiliate link on social media sites like Facebook, Twitter etc. When a referral successfully sign-ups and earns let’s say 200 SB’s, then you’ll get a 10% commission on his total earnings which is 20 SB. The nice thing about this commission is that they’re valid for lifetime. Swagbucks pays its members in Gift Cards from stores like Flipkart, Jabong, Myntra and Freecharge. You can also use your SB’s for redeeming real cash through the PayPal gift card option. Verify your order and then after 7 days you’ll receive your Gift Card code. Now use the gift card code for shopping or getting a cash back. In case of a PayPal Gift Card, you need to enter the code in the Add funds section, where PayPal will ask you for a gift/promotion code. Just enter the code and your PayPal account will be credited with the amount. Now, you can also transfer these funds to your bank account by clicking Transfer Funds option. NOTE: If you don’t have a PayPal account, click here to see how to create it. Is it worth it in India? Swagbucks is not worth your time if you’re from India. This is mainly because a lot of features are not supported in India. This is supposed to be one of the best ways to earn SB’s but it doesn’t work in India. Whenever you click a video, the page reloads back to the homepage and nothing shows up. Swagbucks does not offer a great variety of tasks. So, once you’re done with the above methods, you’ll have nothing to do. I experienced this after I exchanged my 190 SB’s for a Freecharge gift card. And from then onwards when I tried earning points, all I could make was 5 SBs max. This was because most of the offers were unavailable or already completed. 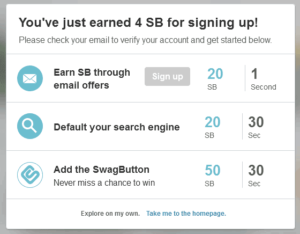 Swagbucks pays you in the form of a reward point called SB for the tasks you complete. The amount of points you get are usually not enough when redeeming a gift card. Hence, if you are serious about making money online, then Swagbucks is not for you! It is time-consuming and the returns are very low. Also, the time you would spend on Swagbucks can be better utilized in other productive ways of earning like writing articles on iWriter, where you can make $3 (Rs.200) for a 250 words article within an hour. But, if you still feel like giving Swagbucks a try? Then click here to sign-up. Also, do let me know your experience on Swagbucks by sharing it in the comments section below. Do spread love by sharing this article with your friends. But most of the swagcodes are not available for india. Yes! Most of the swagcodes are available for USA and UK and not India. Hey, Bing rewards finally launched in India. Can you do a review. Yes I do agree what you said about swagabucks. But I think you can atleast upto 5 swag bucks simply by searching and poll. Its hardly 2 to 3 minutes job. You can increase earning through referrals. You can try that but the question is HOW LONG ? Even the cashout has increased to 500 SB’s minimum. The $ value is high at Rs.66 or so. The SB points are at a low level and does not match our requirement of even moderate speed=earning, in India, if not quick money earning. Thanks Mr.Subhang. You gave a very good review of this site and enlightened everyone and left the choice to the audience. WOW. Very nice and trustworthy review team.. I would like to be a subscriber of your blog..Also would like to be a proffesional friend of your’s, for I am looking forward towards opting “online income” as my full time career.. May be we could mutually benefit each other.. More via emails if it suits you.. I have created account on swagbucks last week.thank u for honest review. I agree with your points is Swagbucks is not good option in india. i want to know the best online money generating work in india. Thank you for this valuable information.I had just signed up and now I know,Swagbucks won’t make me rich.I must appreciate that your description is simple and concise. Hi Subhang! All the information at this site are simple, short and useful for everyone. I like it. Please Keep on posting more Information. Please make sure before you post any thing, that all the information tested and confirmed by your own experiment. I wish you all the best. Thank you. Thanks for the information packed review on Swagbucks. Really helpful and thanks a lot. People are afraid of many scams online. By providing people with an honest review bloggers can help people to save their hard earned money and save their time and effort. Keep up the great work. I will come back to your website to learn more information.